the sea whispers my name at night. I live two separate lives: One here in Canada and one in Cyprus, where I originally come from. Each of my two lives broadcasts on its own frequency, with completely separate points of reference, past, present and future, different nuances and with a different language as the underlying message carrier. Where it gets interesting is when these two lives overlap. Inevitably, there is a clash – for some. 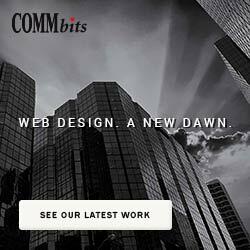 Take the online world (i.e. Facebook) for example, where we can only have one username. My connections in Cyprus know about my beliefs on the preservation of the Greek language as a means of maintaining our Greek identity. This is more pronounced on a politically turbulent island. So, when they see my “Al Poullis” handle, some wonder whether I have lost my mind! They quickly assume I jumped ship, and go as far as accusing me for …treason. I have betrayed my Greek identity, they conclude, therefore I have no say in any issues on the island. They go on and on rumbling and mocking. It’s quite funny to listen to some of them, actually! 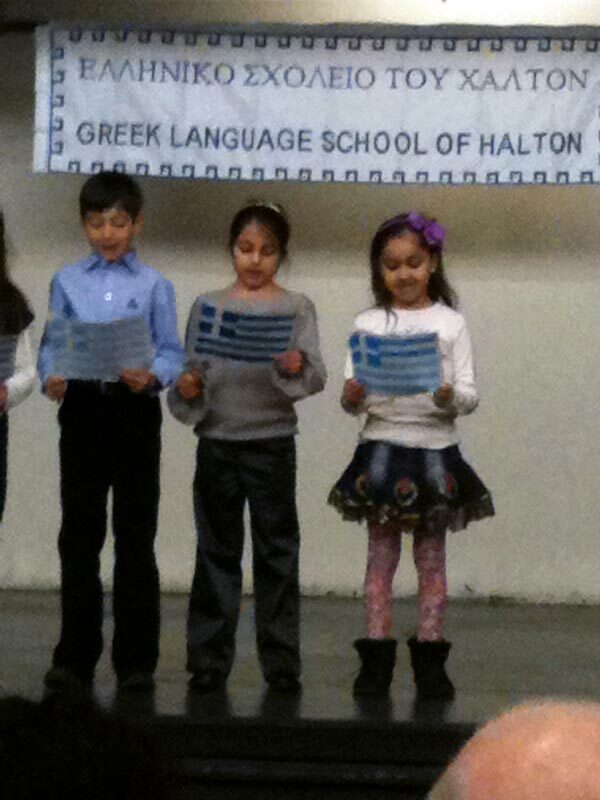 Toronto, Canada, Spring 2010: My daughter Paress (Παρασκευή) Sofia Poullis (far right) reading a poem in Greek during her Greek School celebration of Independence Day, 25 March, 1821. She was born in Canada, ρε γάδαρε Nakis Thebigman, τζιαί αχάπαρη Eleftheria Kimitri. December 1998: My wife and I arrived in Toronto, Canada from Cyprus, after our decision to immigrate to Canada. First night upon our arrival we visited my father-in-law Jerry Vasilakos (from Sparta, Greece) at his restaurant-bar in Toronto, The Timezone Bar & Grill. It didn’t even take 10 minutes for me to realize that my name, “Alkis” would be problematic here in Canada. To my wife’s introduction by name, everyone chuckled and laughed, drunken and sober people alike! As it turns out, “Alki” here in N. America is short for “alcoholic”. New beginning in a country new to me, where I knew business is fierce and competitive, but fair and opportunistic – I knew there and then that in order to keep up my chances I should change my name! After the first laughs and the mockery that night, my wife went on introducing me as “Al”. So “Al” got stuck. 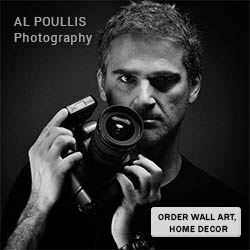 Since then I am “Al Poullis” for my general social and business interactions in Canada. My love for the Greek ideals, including my love for the Greek language remains unchanged. Sine qua non (“εκ των ων ούκ άνευ” in Greek) for all Greeks and for people of other nationalities for that matter that wish to preserve their identity. In fact, I feel strongly the responsibility not only to maintain and preserve but also to pass on this rich heritage, the Greek language, that goes back 2000 years and it is the ultimate transport carrier of ancient Greek philosophy, Democracy, and social values. So, with a Canadian citizenship as well, I am a Greek-Canadian living and working in Canada with my Greek-Canadian family, I mingle respectfully with all sorts of people in all sorts of places, on-line, off-line, here and there, I learn, I teach, I give and I take, I fight for the preservation of the Greek identity in Cyprus, and I fight for what is just and fair. “Al” or “Alkis”, it doesn’t matter to me. That is just a label. It doesn’t matter what you are called, it matters who you are in the world. I have the privilege of knowing you as a wonderfully generous and thoughtful person in many ways. I just realized the “Alki=alchoholic in North America” by reading this article. I never made this association.